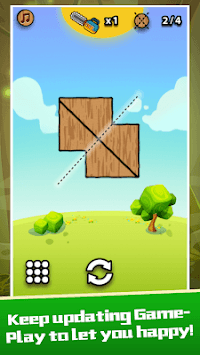 Challenge your brains and accomplish impossible tasks! 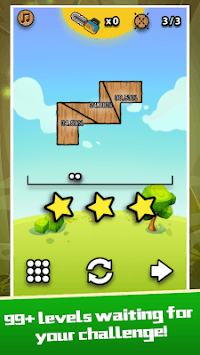 It's time to train your brain and cut the wood to collect stars in ultra way! 1. The best puzzle game of the year to enjoy! 2. 99+ levels waiting for you to challenge! 3. Keep updating GamePlay to let you happy! 4. Let your brains explode and grow stronger! 5. 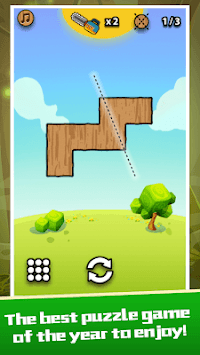 Solve all the levels and beyond your friends! 1. Click the Start button to select the game mode. 2. Use your finger to cut and break wood. 3. Collect the stars in each level to unlock new level. 4. Some advanced levels will need you to complete the level. If you have any questions or suggestions, please contact us for the game. Thank you!